LONDON: When Allen Lane produced the popular paperback in 1934, his breakthrough was not in the creation of the paperback — they had had been around in various, if poor quality, formats for a number of years. His innovation was recognizing a novel context in which people were reading, or wanting to read. The legend goes that the realization came at a railway station. I like to imagine Lane in his expensive, well-cut suit — he was a famously well-dressed man — idly perusing the newspaper stand at Adlestrop (actually Exeter), and noticing the bored gazes of his fellow passengers as they waited for their endlessly delayed train. A lightbulb goes on. 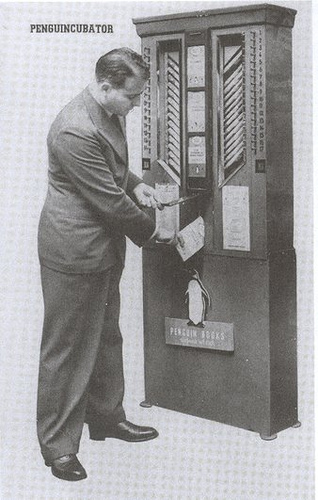 In the Penguincubator we see several desires converge: affordable books, non-traditional distribution, awareness of context, and a quiet radicalism. And it’s not a huge leap of the imagination to see how these apply now. I see the same bored gaze on the bus and tube today, as people reflexively flip open their phones and start poking at email or casual games, as Allen Lane saw on the platform at Exeter in 1933. And slowly — oh, so slowly — publishers are seeing that what we are presented with is not the death of everything we trust, value and hold dear, but a similar widening vista of opportunity to that which arrived with the mass-market paperback. Amazon’s Kindle Store, Apple’s iBooks platform, and Google Books are the Penguincubators of the new era — and the only distress is that publishers have allowed the distributors to seize the higher ground. The frictionless content delivery system pioneered by iTunes and now extended to our industry could have been developed by those who make the books themselves — and perhaps it still will be, as the music industry claws back a little leverage with Spotify, and the television industry with Hulu and similar endeavors. Meanwhile, publishers continue to focus on formats — flat e-books versus enhanced applications, windowed release schedules to protect the paper book — and the legal infighting of pricing models, electronic rights and digitization. These issues are important, but they ignore the long history of publishing innovation outside acquisition, publication and exploitation. The axis on which this issue turns, and the lens through which it should be observed, is time. The book — by which I mean long-form text, in any format — is not a physical thing, but a temporal one. Its primary definition, its signal quality, is the time we take to read it, and the time before it and the time after it that are also intrinsic parts of the experience: the reading of reviews and the discussions with our friends, the paths that lead us to it and away from it (to other books) and around it. Publishers know very little about the habits and practices of their readers, and they impinge on this time very little, leaving much of the work to the retailers and distributors. Amazon and Apple understand experience design, and they know more about our customers than we do; readers’ experience with our product is mediated and controlled by forces beyond ours. In addition, the time taken by writers and editors becomes invisible. As a result, customers’ perception of the value of what we do has fallen to near-zero, while few complain about shelling out hundreds and thousands of dollar/pounds for the devices and connectivity that give them access to it. We need to make visible the full life of the book: the months of writing and editing; the book as advertisement for, and latterly souvenir of, itself; the book as site of engagement and start of a conversation. We should learn not only from other content industries, but from the digital support structures that have grown up around them. To take one, the musical ecosystem comprising services such as Last.fm, Hype Machine, Songkick, Soundcloud and Bandcamp has few parallels in literature, as yet. These services surround the artistic work with a visible halo of engagement, recommendation, data generation and visualization. They allow direct communication between artist and audience, benefiting both immeasurably. And these type of services, which serve artists, publishers and consumers in equal measure, are founded on the skills that publishers have in abundance: the recognition and understanding of literary quality, and a deep and enduring love and knowledge of the medium itself. Those that are most perceived as the greatest threat to publishing — the tech companies — are not a threat here: Amazon is an infrastructure company, Apple a technology and design company, Google is a search engine. None of them will be able to replicate publishers’ passion for books. But to take advantage of this, publishers need to look beyond Industrial Revolution-era definitions of what they do, beyond one-size-fits-all definitions of our product, and beyond publicity-grabbing, short-term management and imprint rearrangements that have nothing to do with readers’ demands. In short, we need to walk down that platform with Allen Lane again, take a long look at where and how people are reading, and help them to find a good book. 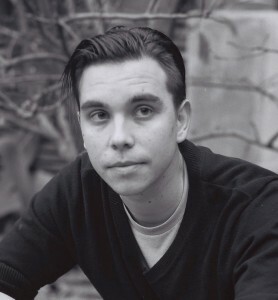 James Bridle is a publisher, writer and a number of other things. He is based in London, UK, and can be found at http://booktwo.org and http://shorttermmemoryloss.com. DISCUSS: If e-books have no physical form, what defines them as books?